Pitch: Happy Self Publishing is a one-stop-shop for all your self publishing needs. Editing, formatting, covers, etc. They do it. Summary: Service Provider known for book covers, editing, formatting and other self-publishing packages. 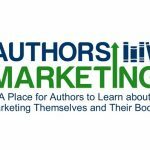 They’ve recently launched author branding services as well to help authors with landing pages, book trailers and just about everything else. Why authors should care about this resource: If you don’t have the time or the expertise to do everything when it comes to getting your book ready to publish, you can look to these guys to carry the torch for you. This is an excellent resource for indie authors. The book cover designs are worth the price and are better than what you’d find on fiverr.com. I bought several gigs on fiverr.com, but I was never completely satisfied. I knew that if I wanted an excellent book cover, I’d have to spend at least $300 on 99 Designs or some other service. Fortunately, I discovered this service, now called Happy Self-Publishing, which gave me a professional Barnes and Noble-worthy design at half the price. I’m definitely using them again. Highly recommended. I wanted to make sure my book looked professional, but at an affordable price. I cannot tell you just how amazing Happy Self-Publishing is. They go above and beyond to help create a product that you love. Not only is their design amazing, but they are quick to produce work. Also, their communication is great. I felt extremely valued. I will order from them over and over again! I am first time author. I was very nervous about writing my first book. The Happy Self-Publishing team have been an excellent and affordable resource to get over my doubts and fears. I bought their full package which included coaching, which has helped my writing tremendously. They just did my book cover and I love it! It is very easy to communicate with them and the entire team is very professional. As a brand new independent author, this was the first time I had to get a cover created. Happy Self Publishing took my brain dump of random thoughts and created a perfect cover. They were very patient with my requested changes, and always answered every question I had. They were very easy to work with, and I will use them again! After completing the final draft for my first book, it was time to pick a cover. Happy Self-Publishing was recommended, and when I looked at their work, it seemed high quality and affordable. I really had no idea what I wanted my cover to look like, so I decided to give these professionals a try and was not disappointed. They gave me 6 initial covers to choose from and the final cover looked very professional. They were easy to work with and cost-effective. I would definitely recommend. As a first time author, HappySelfPublishing was very supportive. Not only did they format my book quickly, they willingly corrected the errors I made in sending my material. They answered all my questions, responding sooner than I expected, and never once making me feel like the newbie I was. Their work is excellent and the cost is more than reasonable. I would highly recommend their services to new or experienced authors. There is so much more to getting your book out there than just writing it. Jyotsna and her team take all the hassle out of those next steps. They bring that professionalism to the whole process and make the marketing side a breeze. They make you look good! I have used this team for a couple of my cover designs and formatting. They are incredibly helpful, super quick to respond as well as being very accommodating. 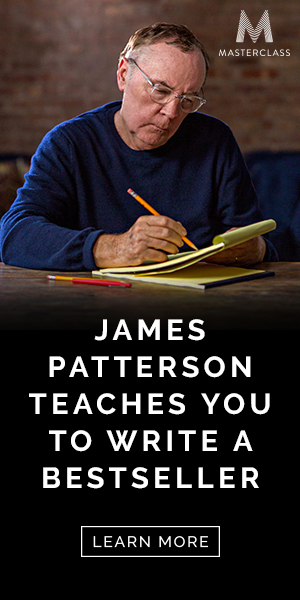 I was really excited to see that they are now offering a whole package for book marketing. What a brilliant idea. Affordable. Professional. A joy to deal with!! Very reasonable prices both a la carte and in the whole package. Excellent flexibility. I love getting several options to choose from. Working with them was always a pleasure. I highly recommend Happy Self Publishing for indie authors.